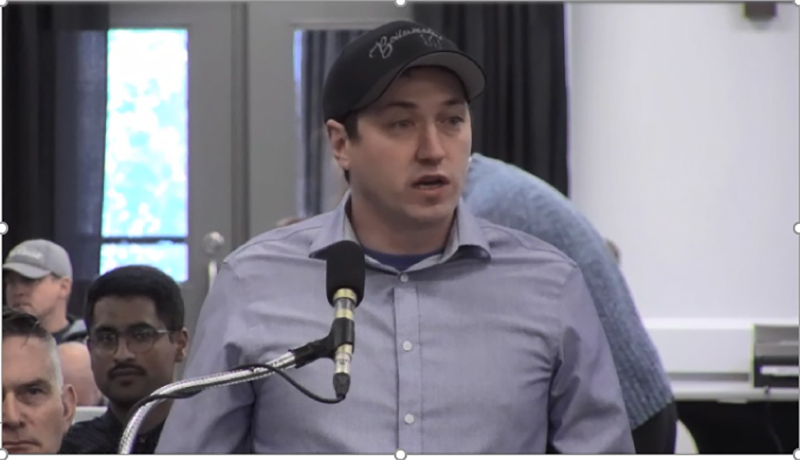 Presentation at Public Hearings in Fort McMurray before a Joint Review Panel established by the Canadian Environment Assessment Agency and the Alberta Energy Regulator, October 2, 2018. I have two young daughters and a beautiful wife at home and I’ve recently had the pleasure to work at Fort Hills, a site which is partially owned by Teck Resources. I’m a boilermaker, we build, maintain and repair Industrial Pressurized and Unpressurized Vessels. I’m a proud member of Local Lodge 146 of the International Brotherhood of Boilermakers, in Edmonton Alberta. And am pleased to have the opportunity to meet and speak with each of you this morning. Canadian Boilermakers have a proud history in this country going back to 1893. My Lodge was chartered in 1948 with 60 original members. Now, October 2, 2018, we have a membership of over 4,000 strong. The size of our membership is directly related to the expansion in the Wood Buffalo Region off the oilsands industry. Over the past two (2) years we have worked on more than 100 different job sites throughout Alberta and we work for more than 40 contractors. We are skilled and specialized tradespeople. We value safe jobsites, fair wages, benefits and good working conditions. We respect and value our cultural diversity, the environment and most importantly our families. We contribute in many ways to our communities. In fact, last week members of our Lodge visited a public school in Edmonton to make a donation in support of the school’s hot lunch program. We are part of the nearly 200,000 Canadians who work directly in the oil and gas industry. Lodge 146 is a proud member of this industry. We should all be proud to play a part in Canada’s oil and gas industry. An industry that cares about our environment. We are environmentalists. We build carbon-capture facilities and we need those facilities if we are going to meet our emissions targets*. We are part of a responsible industry. In Mr. Maloney’s words, our industry “has adopted and embraced practices that are cleaner, safer and have a more benign impact on the environment. *” Something he notes is not always the case in other areas of the world*. The world needs refined oil products and the demand for it is expected to rise for the next 30 years*. We agree that oil companies could have done a better job bringing First Nations on board in the past* and we support Teck’s initiative in this regard. With this demand, comes great challenges that we are ready and willing to meet head on. We strongly believe that Canadians must invest in Alberta oil plants and refineries. Our plants are governed by strict regulations and protocols that make the oil and gas industry safer and cleaner for our workforce and our communities. The world’s oil, should come from Canada and from Canadian oilsands workers, and especially from Alberta’s oilsands. I stand here today with my fellow building trades brother; Local 92 Labourers, Local 1325 Carpenters, Local 1460 Millwrights, Local 720 Iron Workers, Local 424 Electricians and as a Local Lodge 146 Boilermaker member, we collectively represent over 32,000 workers and we strongly support Teck Resources proposed $20B Frontier Oil Sands project.